Where do YOU stand on the Big Economic Questions? Why is there a Boom-Bust Cycle? is incorporated as a non-profit organization in New York State. Founded in 1971, it is a membership organization supported by dues and contributions. In the belief that the philosophy of Henry George has important answers to today’s urgent problems, the Institute is established to promote this philosophy by educational means. Here is our current list of members. You can join the HGI, renew dues, or make a contribution right here! distance-learning courses via the Internet and regular mail. Our three-course series in Principles of Political Economy includes Understanding Economics, Applied Economics: Globalization and Trade and Economic Science. These courses may be taken separately, but together they provide a comprehensive overview of basic economic theory and issues. The Principles of Political Economy series is recommended for college credit. For more information, Click here. An additional advanced course explores Human Rights (by regular mail only). A certificate is given at the end of each course. In accordance with the philosophy of Henry George, the Henry George Institute holds that all persons have a right to the use of the earth and that all have a right to the fruits of their labor. To implement these rights it is proposed that the rent of land be taken by the community as public revenue, and that all taxes on labor and the fruits of labor be abolished. The Institute believes with George that “liberty means justice and justice is the natural law,” and that the social and economic ills besetting the world today are the result of non-conformance to natural law. The Institute pledges itself to bring this philosophy to the attention of the public by all suitable means. 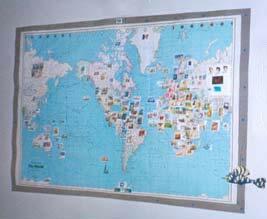 This map bears a stamp from every country in which the HGI has had students. a membership card, a copy of the By-laws, notices of meetings and other communications, and the Georgist Journal, an international quarterly of news and exchange of views. Members are eligible to vote in the annual election for the Board of Directors and Nominating Committee. 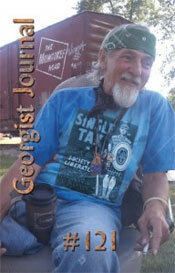 For a sample copy of the Georgist Journal, click here. ...has only two requirements: pay your annual dues of $20 (us), and indicate your agreement with our Statement of Purpose. As a member, you get a subscription to the Georgist Journal, and a vote in our annual election for members of the Board of Directors.